But..... these weren't made by me! In fact anything that can't be chucked in the fry pan, slow cooker, or steamer.... pretty much isn't made by me! I leave all the cake-y, biscuit-y, dessert-y style stuff completely up to My Sister Teagan or my Cousin Nikki.... and although i'd love to tell you that my house smelt like the gingerbread factory (i'd be fibbing). 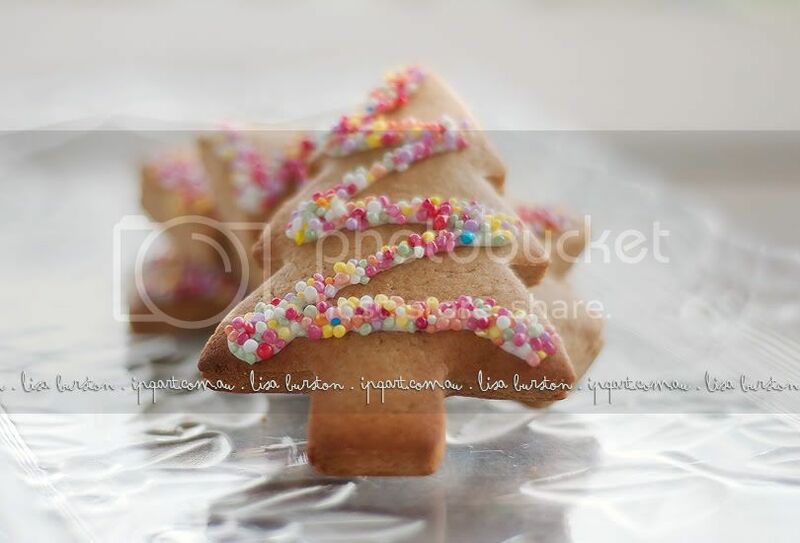 These little xmas trees almost took over Nikki's kitchen yesterday! She baked 100 of them! She is so so patient and clever!